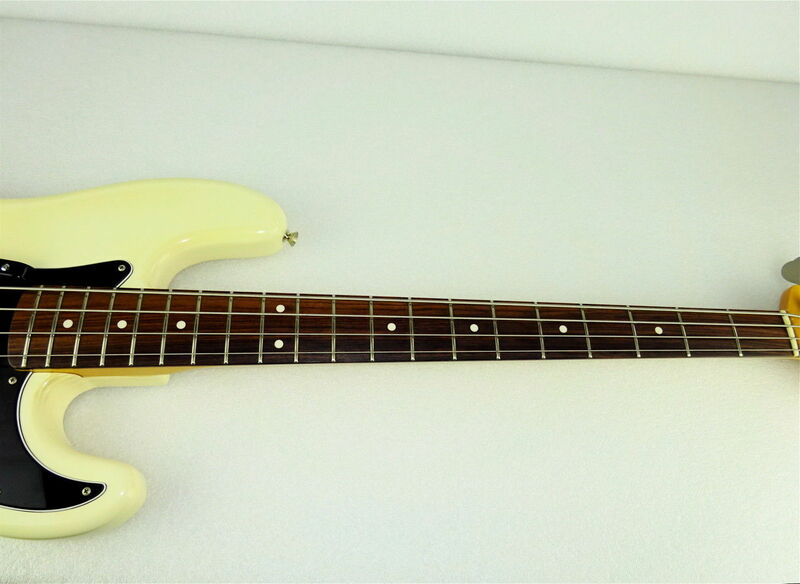 This is kind of a repeat as I have two almost identical basses in stock right now, and I have been through quite a few of these basses over the years because they are consistently great instruments. 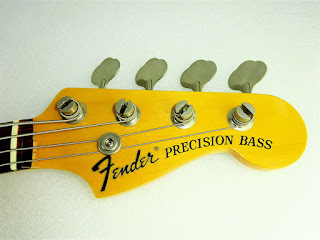 The Fender PB70-70US Precision Bass is a very nice recreation of their 1970 model, and it was built with pride in Fender’s Japanese factories. The PB in the model designation designates this instrument as a Precision Bass, the first 70 shows that this is a 1970 model, and the second 78 indicates that the original price was 70,000 Yen. That was around $590 bucks back then, which was a heck of a deal. 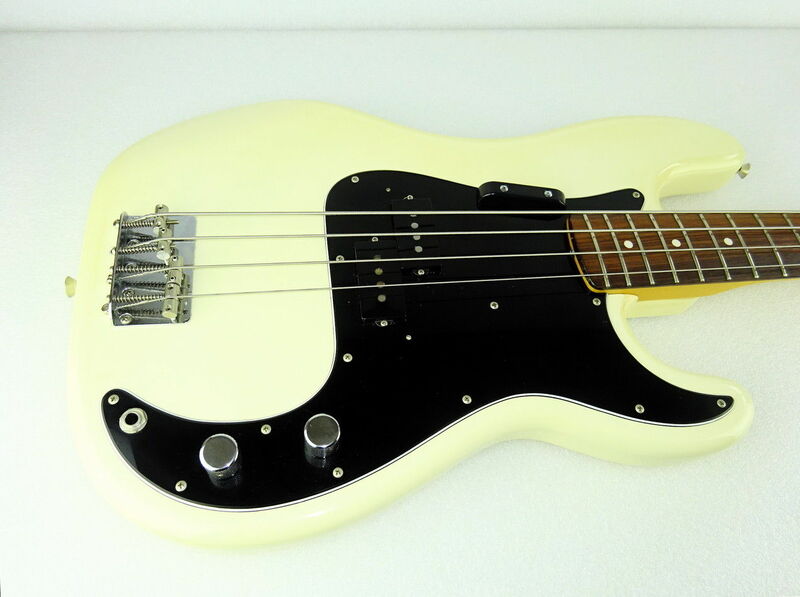 Oh yes, and the US at the end of the model name means that this bass shipped with US-made vintage style pickups. 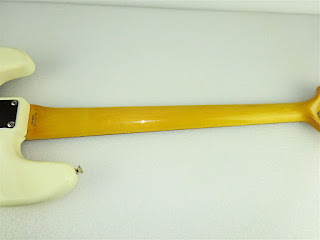 This one is finished in a silky Olympic White, which has yellowed nicely over the years. I have heard that the body is supposed to be made of alder, but who really knows? The body shape has the classic contoured P bass shape, and the neck is attached with a four-bolt joint. 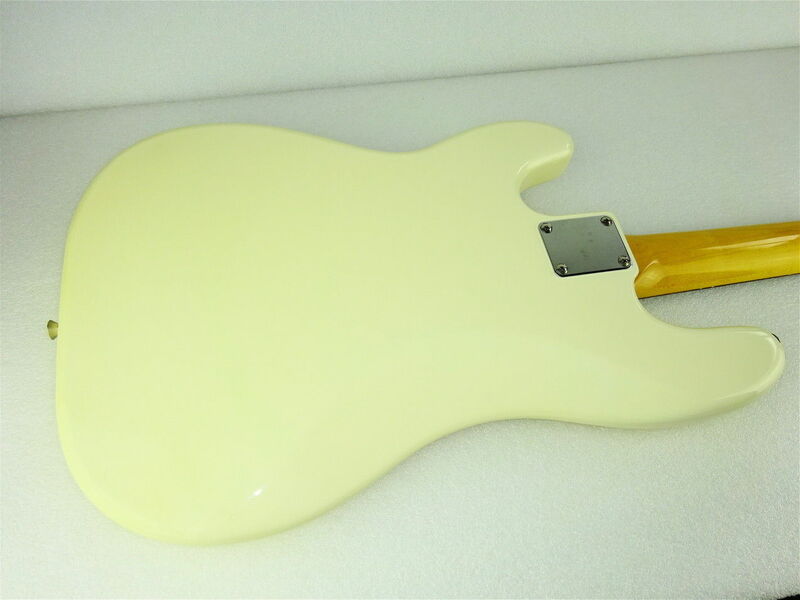 As I said, there is a US-sourced pickup, with the expected volume and tone controls. 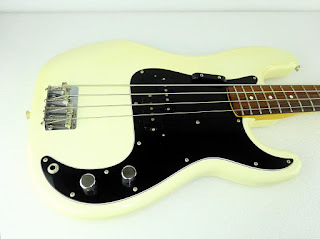 The hardware is the usual Fender stuff, with a three-layer B-W-B pickguard, a chrome four-saddle bridge, and the correct large bass Fender vintage-style tuners. I hate the Japanese basses that come with the lame small-base tuners. Boo. It plays right, too. 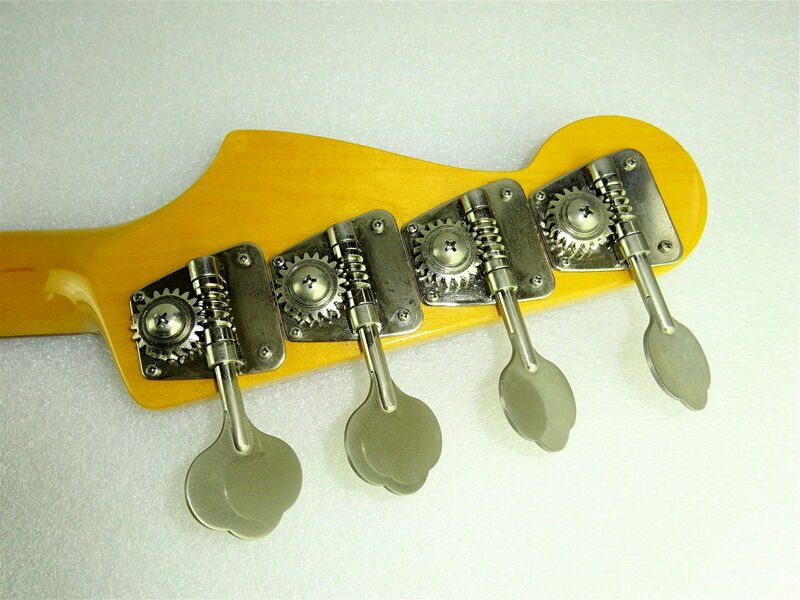 It is very well constructed, and the neck is very playable. I love the sound of it, and I do think the US pickups make a difference. I think that sometimes the Japanese pickups and pots are not quite up to snuff. This one is in line with most of the other one I have owned, coming in right around 9 pounds. 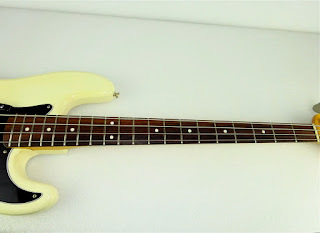 Anyway, it is a great bass, and if you are in the market for a new P Bass, these Japanese reissues cannot be beat for the price.